Born in India, half Zimbabwean and half Dutch, currently living in London, Rina is a global citizen and singer songwriter from the world. She is blessed with an incredibly deep and joyful voice and we are so happy she wanted to work with us on Big Wata. She has been a great inspirator for the film. Go check out her music and watch her latest video clip (guess who has directed it) and you’ll know what we mean! 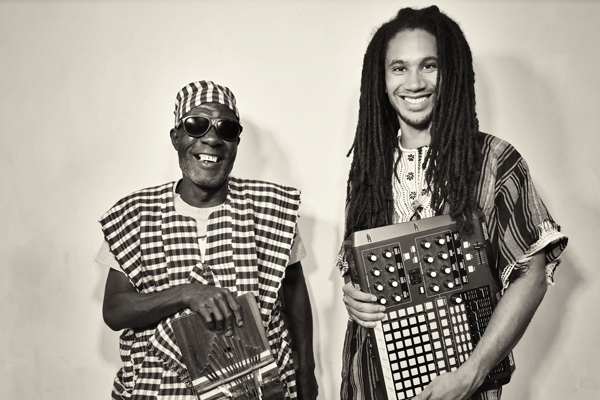 Boima Tucker or Chief Boima is an American DJ and producer with Sierra Leonean roots. He’s a Sherbro son, the tribe most of the Big Wata surfers belong to too. In 2017 together with the famous Sierra Leonean artist Sorie Kondi they made the album Salone and we were both lucky and very happy to we could use some tracks in the film. Listen to more of Boima’s music here .